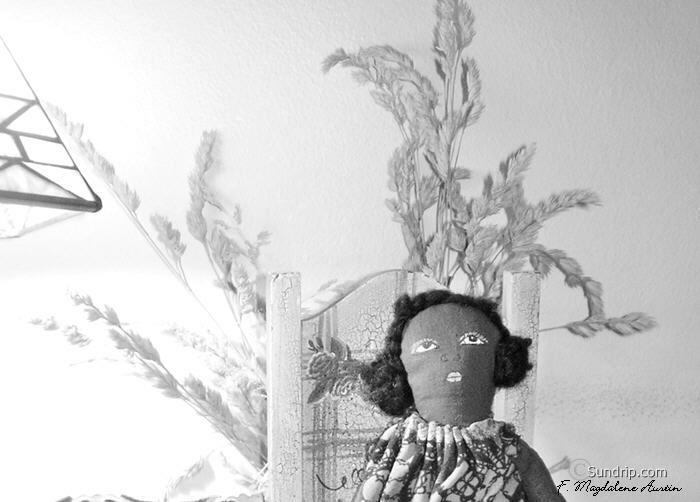 I stopped calling May Bell a rag doll because she has so much character that she falls more into the art doll category. This isn't my usual type of doll but I have to admit, I enjoyed making her. 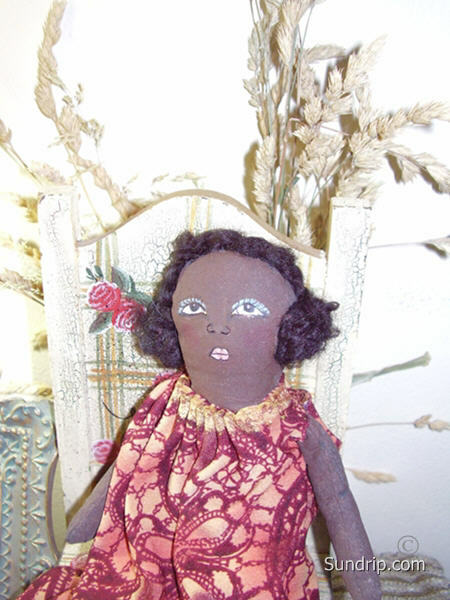 May Bell is a beautifully elegant art doll who is handmade and hand painted. 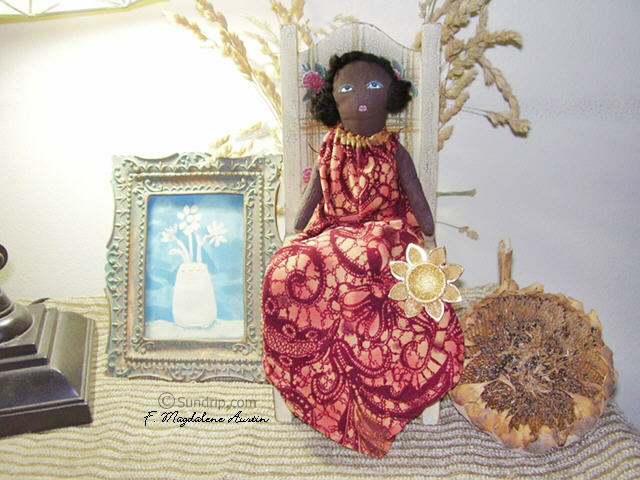 She stands approximately 8 inches with a rust and gold flowering dress that falls at 12 inches. May Bell's hair is up in buns on both sides of her head, twisted perfectly and able to hold ribbons or flowers if desired. Her accenting Anne Klein II sunflower brooch is removable and can be placed where desired. 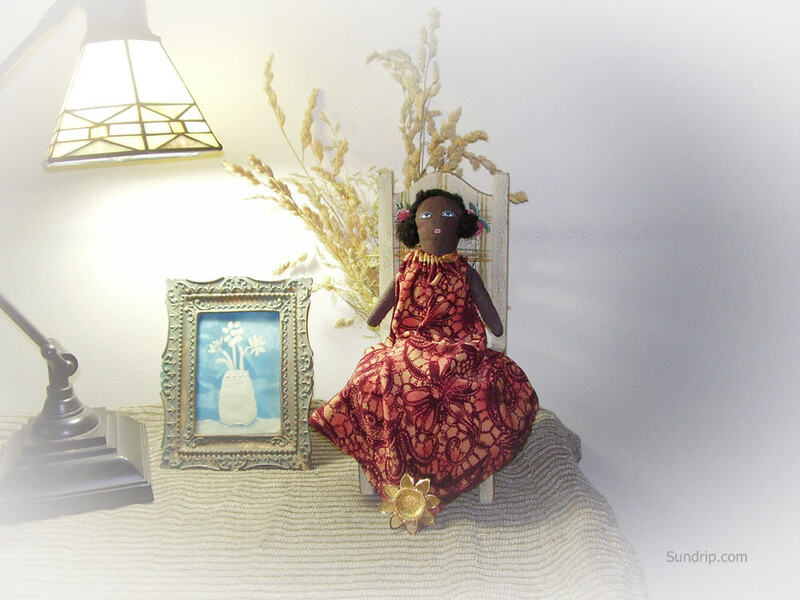 May Bell the art doll has a lot character and will display beautifully and elegantly in any home. 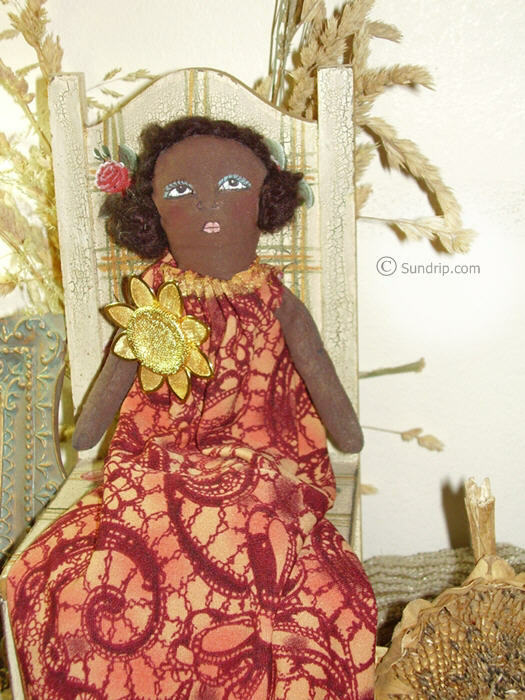 Art doll details: Hand drawn facial features, dark brown yarn hair, Victorian era feel, vintage sunflower brooch, 100% hand sewn and hand painted. 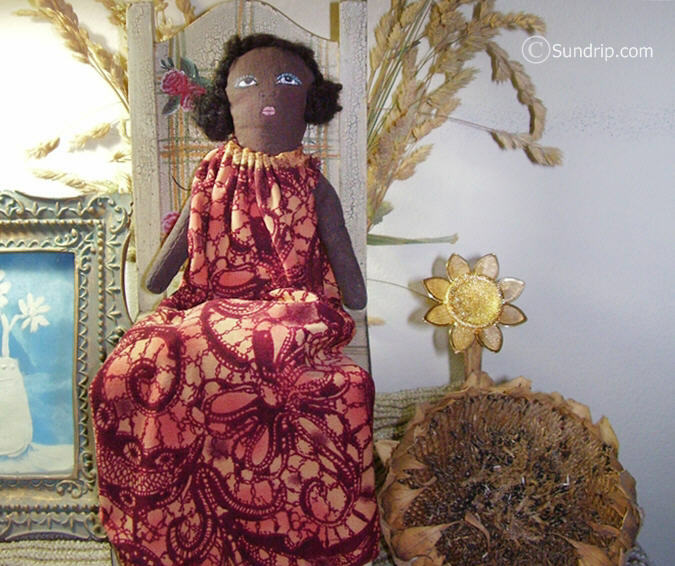 She is 80-90% made of recycled materials. Rust, maroon, pink and gold paisley dress. The gold paisley swirls are wonderful. She's got a lot of character, including a double chin. 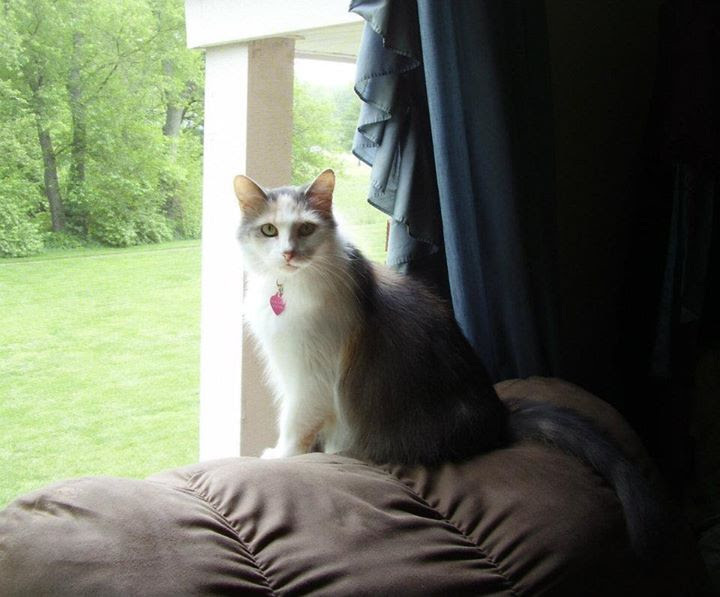 May Bell is small with a quiet nature.